It is almost always the simple things that matter most. Recently, we took our children on a trip where they were able to see and experience some of the greatest art and architecture in the world. We had a wonderful time, but everyone agreed that one of our most fun afternoons was spent in a park while we lay in the sun and the boys shot cans with a small homemade bow and arrow. We could have been anywhere, we happened to be in France. Sometimes, I think we lose sight of the fact that our situation is as much shaped by our attitude as by circumstance. Obviously, it is easier to have a good attitude lying in the grass, under a warm sun with a full belly than it is doing deep knee bends on an airplane trying to calm a tantrumming child and ignore the stares of other passengers. Neither experience lasts forever, even when you wish it would or it feels like it might. One of the most valuable lessons I have learned from having a special needs child is to let things go, both good and bad. When our children were babies and sleep was an enormous issue, I remember thinking there was a perfect sleep recipe. The pajamas they had worn for their first long good sleep, became the “magic pajamas” or the sheets on the bed, or the meal I had, had before nursing. Certainly, you can do things that support good sleep for your baby, routine being one of them. But, every parent soon figures out that some nights they will sleep even with a marching band going through their bedrooms and other nights they won’t no matter what. It is the same with everything in life, you can plan elaborate and exciting adventures for your family, and they can be great. Or you can all snuggle up onto the same couch and watch Fetch and sometimes that is better and was a happy accident. Being able to maintain equanimity in the face of anything, is what allows us to truly be at ease. We cannot control the outcome of any situation especially when children are involved. What we can control is our response. 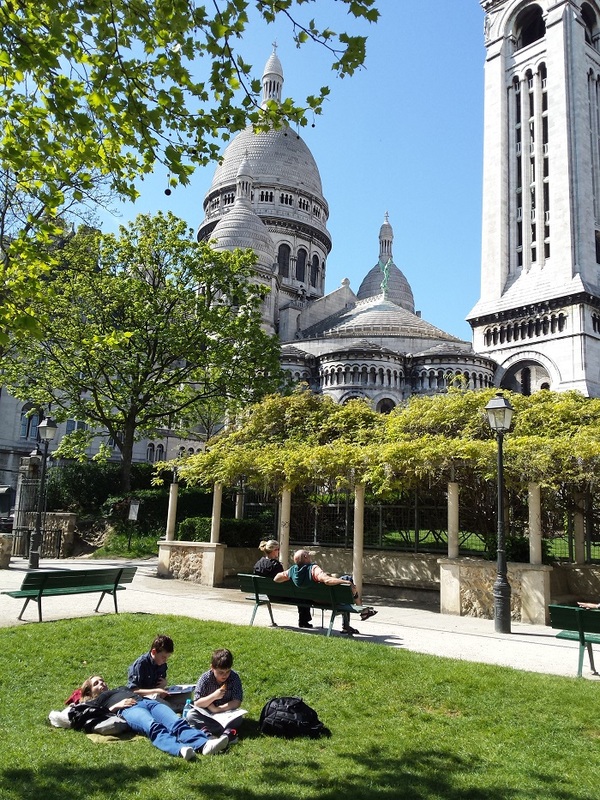 Some days will be awful, you will receive bad news, your bank account will be empty, loved ones will be in pain, other days you will find yourself lying in the sun in Paris. Life is like that. I am trying to greet both the good and bad with the same joyful attitude, the way one would meet an old friend. Inconvenience, sadness, joy, and ease, all familiar, all fleeting, all guests at the same table.